Themed Easter baskets are the best! No really, I think I enjoy making them as much as my kids enjoy receiving them. Have a kid that loves gardening? There’s an Easter basket for that. 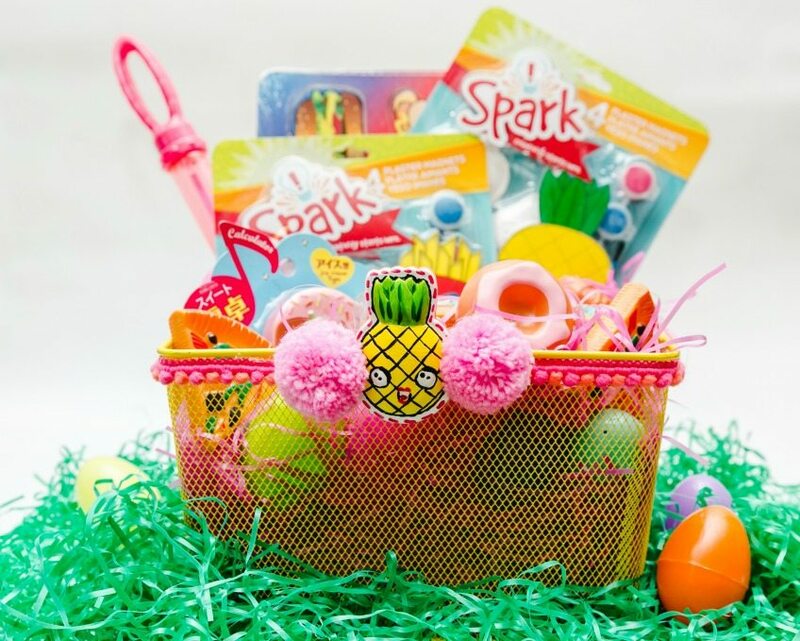 Think your baby won’t appreciate an Easter basket? Think again. What about your little beach bum or aspiring Jacques Cousteau? 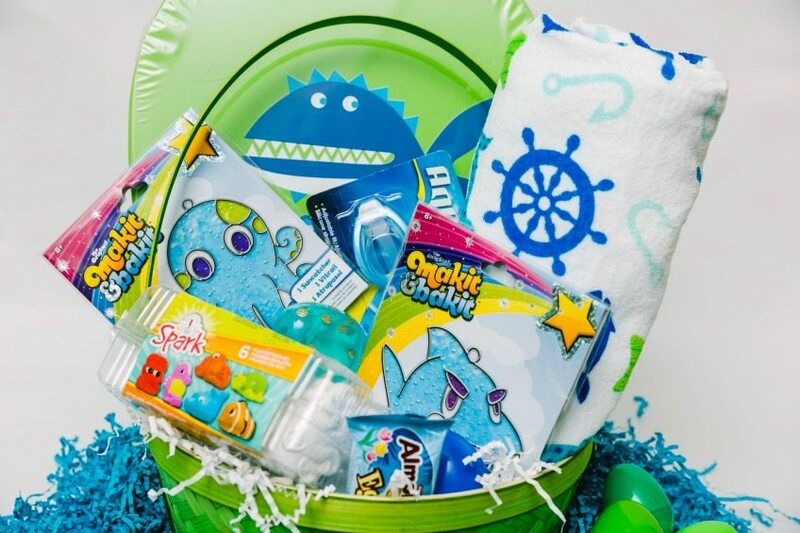 Wouldn’t an ocean themed Easter basket full of crafty goodies by Colorbok (sponsored) be perfect? I sure think so. Better yet, you could win all the crafty goodies in this basket to give to your own little. This week on Monday, Wednesday and Thursday I’m going to be sharing a different themed basket filled to the brim with Colorbok goodies. When Colorbok asked me about sponsoring this post (as in I was compensated and sent free supplies) I knew my kids loved crafts as much as I do so who was I to say no. Plus if you’re here reading this there is a good chance you love crafts too so I get to help you win fun stuff! Stop by my blog and the Colorbok Facebook page all week for chances to win. In the meantime get inspired with all these sea life supplies. When I’m stuffing a stocking or filling an Easter basket I like to think about useful things. I don’t need more random unused trinket sized toys that will float to the bottom of my toy box. 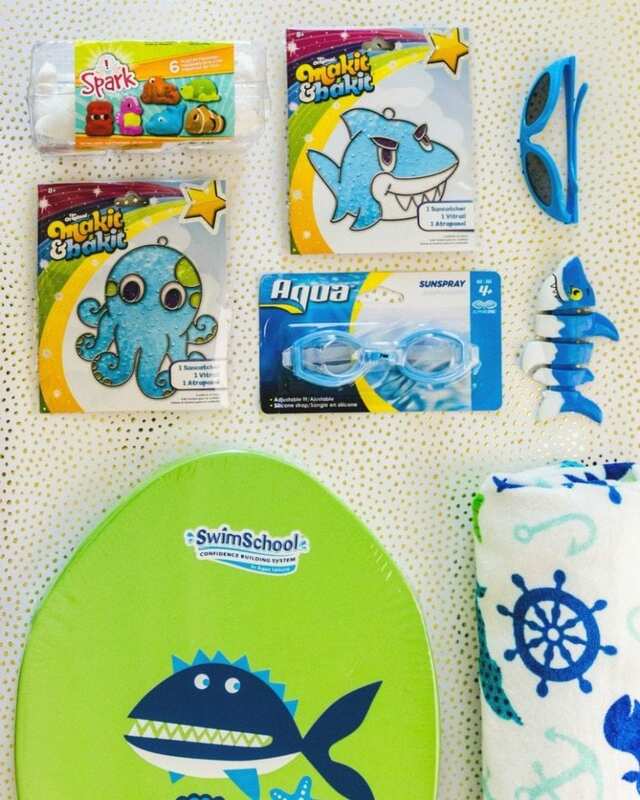 What I want are things my kids will use (towels and goggles), screen free items that will keep them entertained (MakIt BakIt Suncatchers and Spark Sealife Figurines) and things to keep them active (kick boards and diving toys). These are the kinds of gifts that keep on giving. Gifts that encourage play and creativity. All week long you can stop by the Colorbok Facebook Page for a chance to win these awesome crafts. Remember Makit & Bakit. Man I loved those sun catchers and my kids still do. 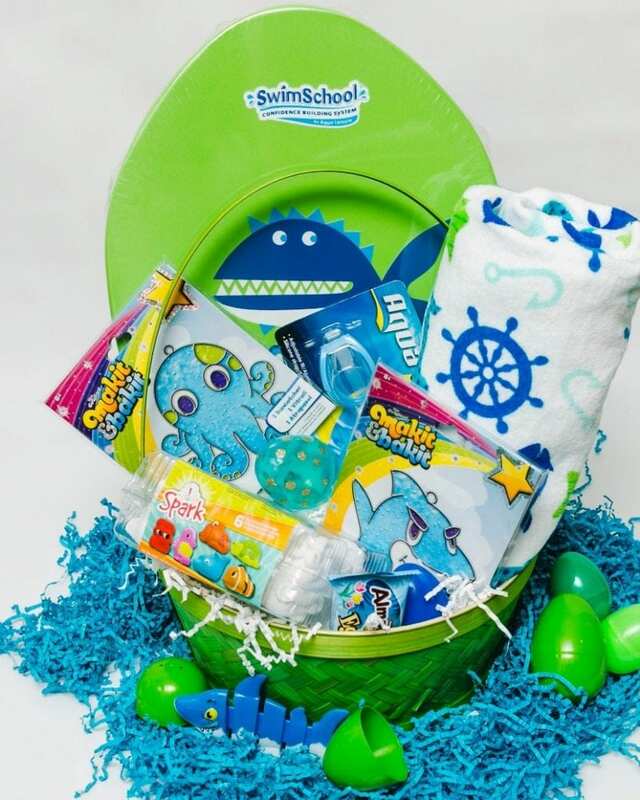 What else would you suggest for an ocean themed Easter basket? I’ve got a couple of weeks left to add to mine so I’m still taking suggestions. Looking for more themed Easter basket ideas? Foodie Friends – Yet another adorable themed Easter basket from Colorbok. 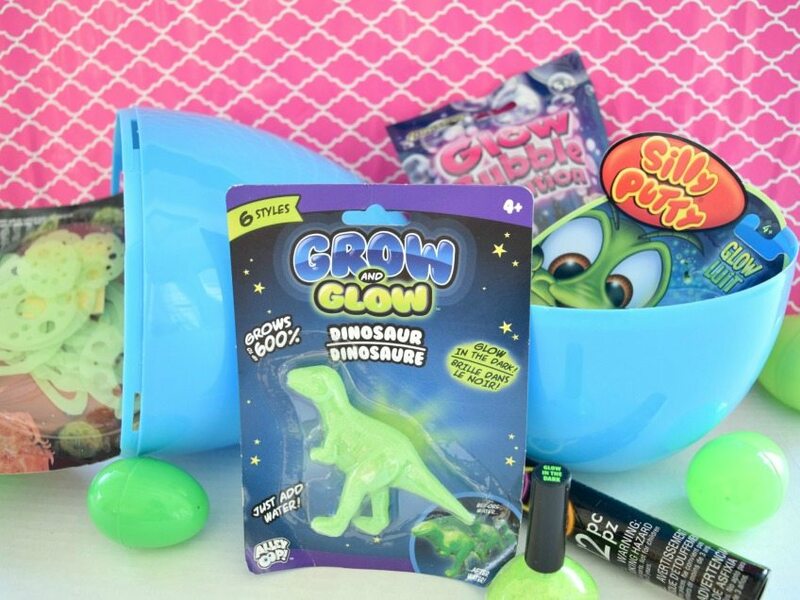 Help someone get their glow on with this Glow in the Dark Themed Easter Basket. Coming Friday – another adorable themed Easter Basket. Posted April 3, 2017 & filed under Crafts, Easter, Holidays, Kids Crafts. Beautiful! 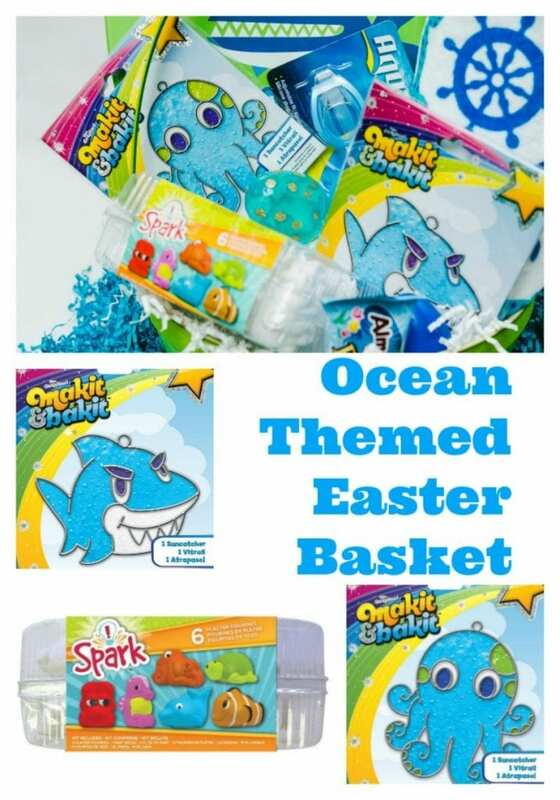 The Ocean theme easter basket is looking so good. Thanks so much Victoria. Please pop over to the Colorbok FB chance and enter to win some of the goodies.